The days of telling employees what to do are long gone. We are in an era where businesses only grow with ideas and actions from talented employees who are passionate to explore and showcase the outcomes of their vision and are given the freedom to try and test out new ways of project executions which the business may have not had the courage to do in the past. 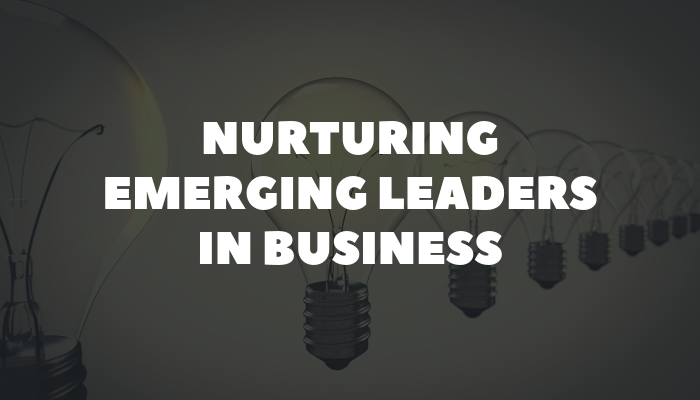 Businesses and managers only succeed, when they can harness the growth of emerging talent and leaders. Too many businesses and managers particularly have the tendency to dictate rather than listen, criticise rather than to understand and dispute rather than trust. Here are 5 key actions I believe you as a manager should bring into practice, to nurture and develop the up and coming leaders within your organisation. 1) Support Ambition & Growth: What does leadership look like? Emerging leaders are noticeable. They are active employees, who deliver beyond expectation, are filled with ideas and always have bigger ambitions in mind. They see growth and can picture a pathway on how to get there. They may have the ambitions however you as a manager have the tools to help them get there. Which is why your role is crucial. Managers who fear that developing or supporting ambitious employees might risk you losing them, need to change their mindset. Ambitious employees who are emerging leaders always want to see the organisation and more importantly the manager they work under; grow, and in return want the support which can help them grow also. Never discourage but ‘encourage’ and ask them open ended questions on how they envision the future of the task, objective or project. Listen to their perspective and take it all into account. A great manager will always encourage and support employee growth. 2) Encourage risk tasking & exploration: What ideas do they have and how do they envision growth? Your ideas as a manager may sound great on paper, however when you delegate tasks to your employees, they are the ones who are executing. They have been there before and have done and delivered. They know what works best and what doesn’t. You may have the overall picture in mind, yet they know the mechanism of how to get there. Which is why you as a manager need to encourage your employees to take risks, be bold in how they approach a task and objective. Emerging leaders naturally gravitate towards doing this and it is something that needs to be supported. They are natural explorers, who are curious to see what happens next when a certain action is taken. They may not always be right, but they are not scared to try and attempt something different. It is your duty as a manger to harness this energy of exploration and risk taking, with feedback and your positive opinions. What you feels works and what doesn’t but ensuring they end up making the call on what is right or wrong. It makes them feel important and valued for the actions they take, which ultimately improves employee happiness and they feel important in whatever role they play. 3) Share knowledge and ideas: What skills would they like to develop and what are their strengths? As a manager you have been through rough times, learnt from mistakes and know what is often right or wrong. You have years of experience under your belt and it’s crucial to share what you know. Let your emerging leaders hear from you, your perspective of the project ahead. However, this shouldn’t mean that they are bound to do exactly the same as you. Instead, this allows them to not make same mistakes but encourages them to figure out a pathway that delivers better results. It’s important you are able to listen to what they have to say. Once again ask open ended questions, such as what skills do you feel you lack that I can help you develop? This allows you to learn more about your employees and provide the right level of training and support which will help them, develop and grow. Encourage more focus sessions, group discussions. Let them lead on delivering sessions to highlight what works and what doesn’t so everyone is aware of where the organisation is at this moment. Learning is crucial, so ensure you have a platform in place that allows your team to develop skills at a pace that suits them, whether that is signing up to an online training programme, or having regular sessions on topics that matter to the team. 4) Connect & network (with other leaders): How can they best represent the organisation? Leadership is about representation. When growing and nurturing leaders amongst your team, they are a symbol of what you as a manager and your organisation stands for. They are ambassadors, a figure of the company and there is no one better to mark this representation than leaders who are up and coming. Which is why you should encourage them to represent your organisation at networking events, corporate events which builds trust and gives them credibility. They feel a sense of value and responsibility being a product of the organisation they represent. Emerging leaders crave for this and it is your duty to recognise this and encourage this sort of responsibility. Leaders connecting with leaders allows for great partnerships to strike and new ideas to develop which in return can lead to bigger deals and more business to be generated. 5) Harness these 4 key factors which are often overlooked. Happiness: Encourage positive energy amongst your team. Happiness is a spirit that goes a long way which leads to greater results and shouldn’t be underestimated. Belonging: Employees need to have the feeling that they belong at their workplace. Create a spirit and office culture which allows them to feel valued and important. Purpose: Their ideas and thoughts matter. The direction they wish to head towards matters. Listen more than you talk. It gives them a sense of purpose and ensure you take each individual seriously. Trust: A manager and employee relation is a matter of trust and confidentiality. It allows them to voice concerns without issues of stress and anxiety. Trust builds the foundations for a solid team and emerging leaders to be harnessed and nurtured. If you have a team of emerging leaders who have great potential but need to develop essential skills in areas such as people management, communication, negotiation or other areas focused around your companies Learning & Development, then why not invest in their growth through Sabirul Islam’s ‘Invest in Your Employees’ coaching programme. This can either be a single online session for 50 minutes or a fully custom, 3, 6 or 12 month online training (50 minute each session) programme to suit your employee skills development needs and your organisations learning objectives. Get in touch via email if your organisation would like to discuss further with Sabirul.